Bill Gates once said: “Take our best 20 people away, and I will tell you that Microsoft would become an unimportant company”. As companies compete in the global marketplace with their products and services, they also compete with each other to attract the best and most talented people. Bill Gates’ statement only rings truer today; as global competition intensifies, companies are going to greater lengths to attract and keep their best performers and value creators. After all, great companies are made by great people. This program is designed for managers and future business professionals that want to learn how to utilize their people to achieve organizational objectives, who wish to learn how to recruit star employees, how to manage change, create an HR strategy, and more. Courses within this program include Recruitment and Selection, Leadership, Management of Change and Human Resources, Performance Measurements and Reward Systems, and others. Classes will involve practical examples of human resource management in practice, video examples, case studies, and will be highly interactive. In this program, students will also take part in a computer simulation in which they will take the role of a Human Resource Manager, and make decisions on recruitment, promotions, salary increases, employee training, etc. Based on the outcomes of their actions, they learn how HRM theory relates to practice. This program lasts for two semesters, in the second of which students will have to create a Graduate Thesis. The lecturers represent a combination of Croatian of foreign experts in the area of Human Resource Management. 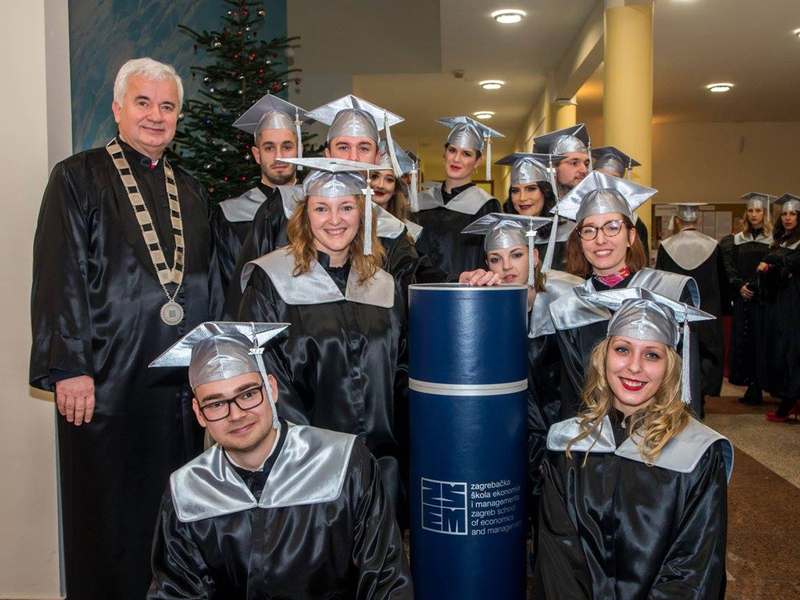 Study groups are small, as they are in all programs offered by the Zagreb School of Economics and Management, and communication between professors and students is direct. Lecturers in this program include Dino Dogan (Croatian Telecom), Li Choy Chong and Markus Menz (St. Gallen University), Herman Lassleben (Reutlingen University), Randy Richards and Dan Ebener (St. Ambrose University), along with ZSEM’s experts. Candidates with a minimum of 5 or more years of work experience: 5% (to be proved by an official certificate). A student may qualify for more than one tuition fee reduction, in which case they stack.